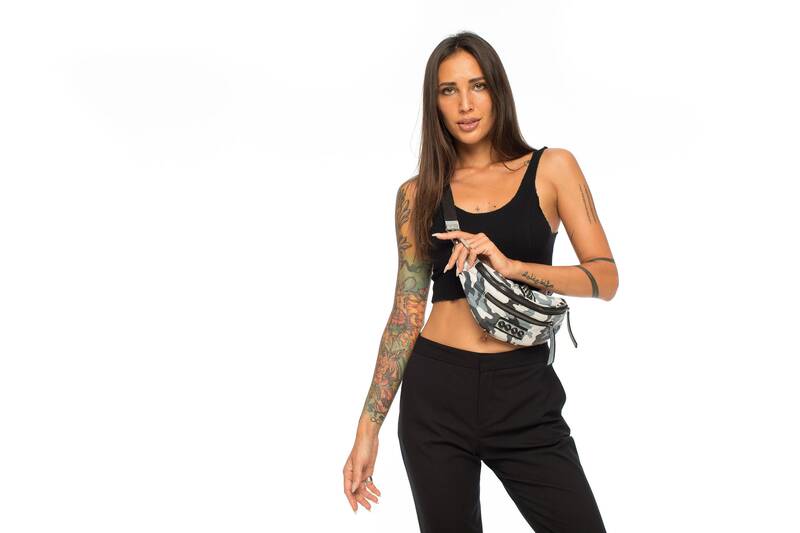 Utilitarian and sleek, this convertible pack combines the chill of cool toned greys with the audacity of front and center metal studs for an all around ideal everyday sling bag. 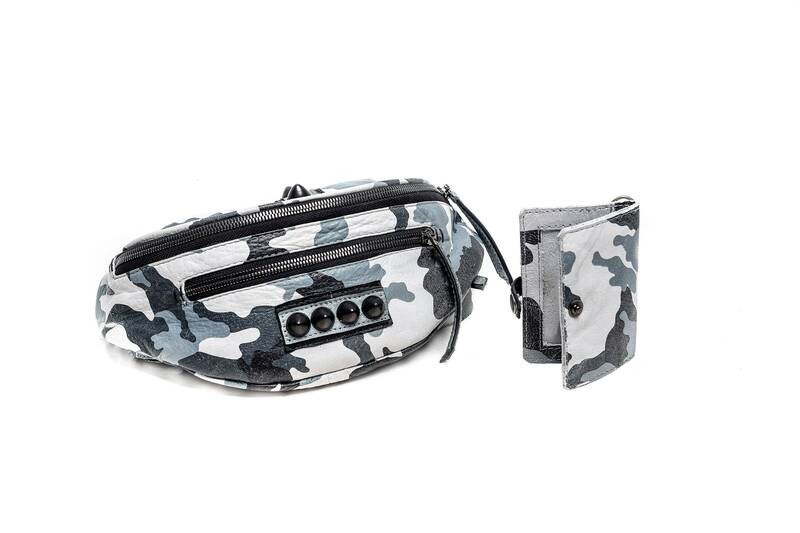 Fashioned from the freshest grey/white camouflage leather we could find, and sturdy, road tested hardware, this pack can stash and carry all your essentials comfortably. 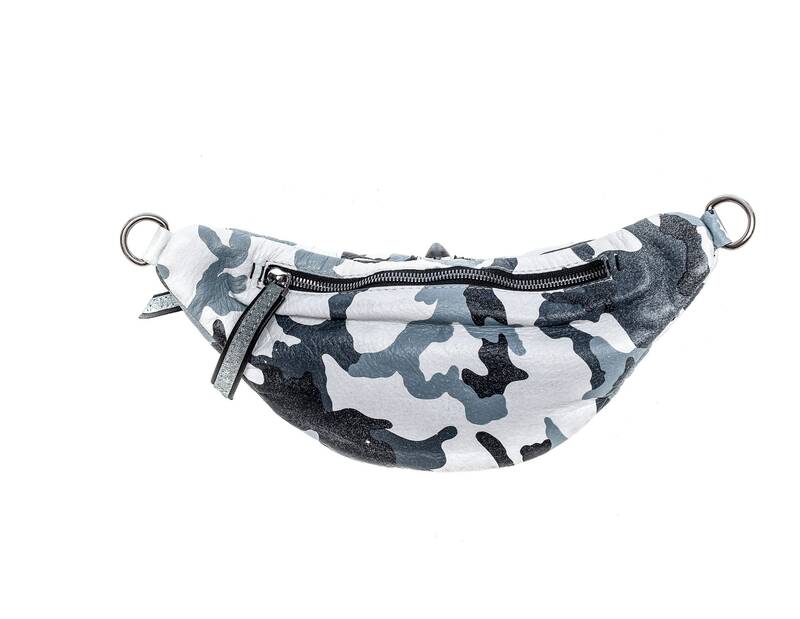 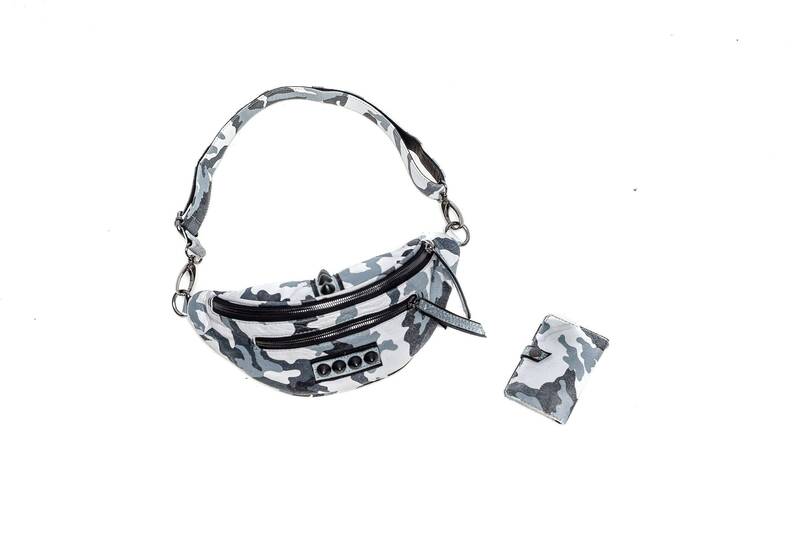 Worn over the shoulder, crossbody or around the waist like a traditional fanny pack, the epicene Snow Leopard Pack is a brilliant addition to your streetwear collection. 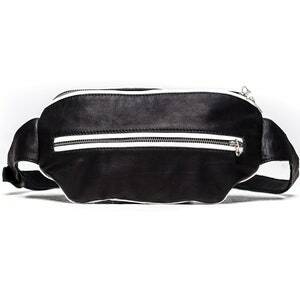 While you see three zippered compartments, there is actually a fourth hidden compartment - to stash whatever you please. 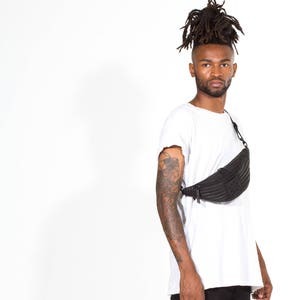 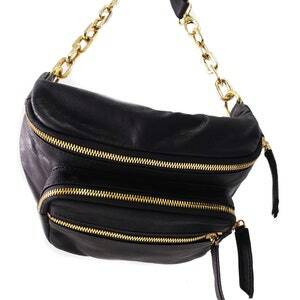 With the body of this bag measuring 13" across with a depth of approximately 5" in the main pocket, this bag has a total of three zippered compartments, the aforementioned secret pocket contained inside in the back pocket and comes with a waist strap that can extend up to 40".